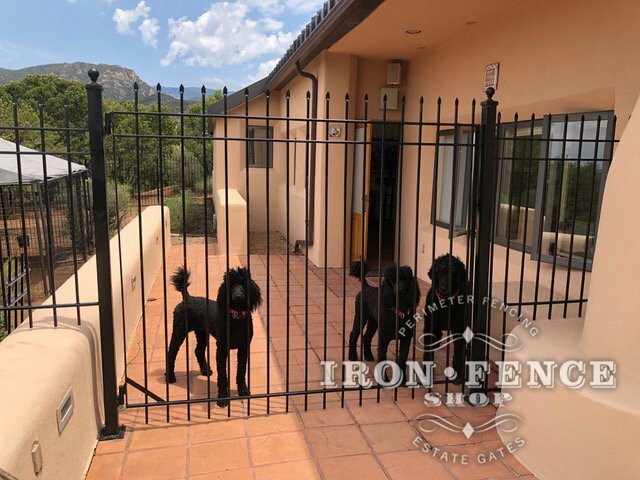 An Amazing Custom Iron Gate Testimonial from Maryland! Our customer David built a beautiful brick archway into his backyard and knew that an ordinary gate would not cut it to accent the opening. 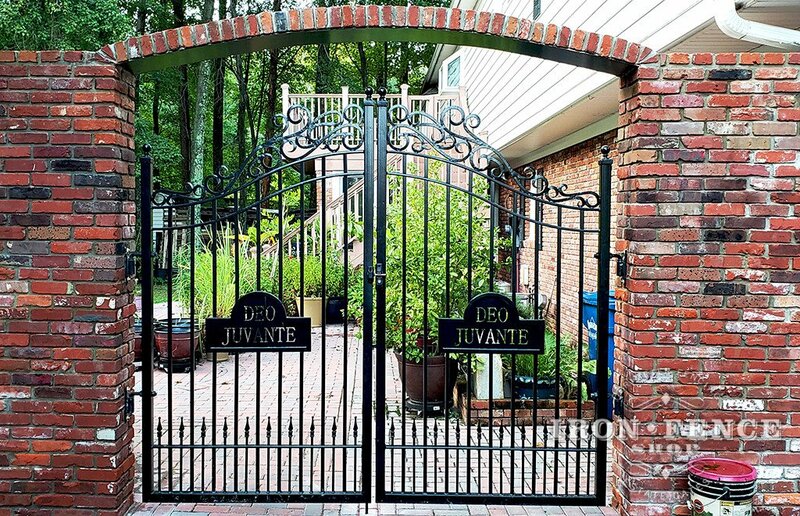 We’ve done a lot of custom gates over the years, but this one with the custom motto plate cut into it might be my favorite. Here is what David had to say. 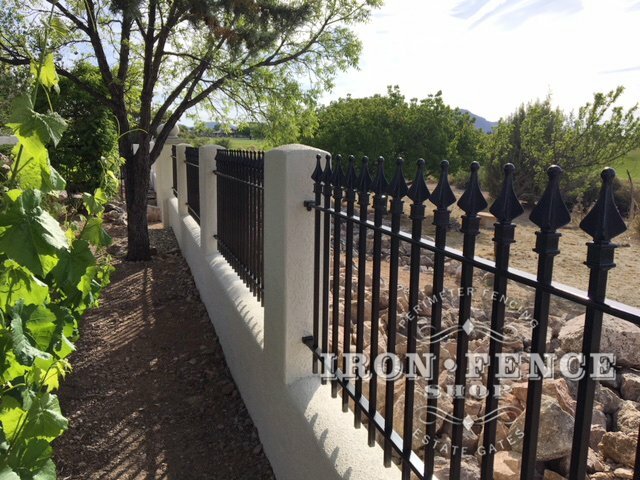 A Wrought Iron Fence Testimonial from Arizona! 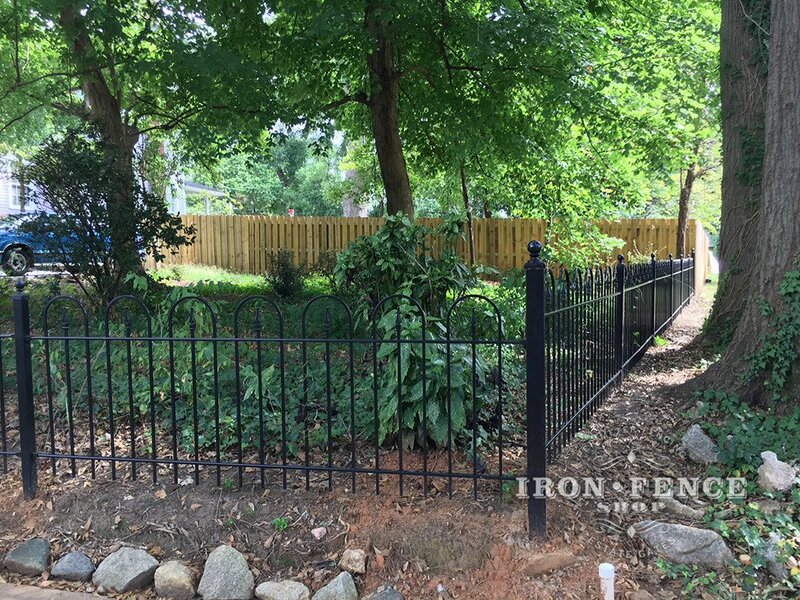 A Custom Wrought Iron Fence Testimonial from South Carolina! Our customer Gene had us build some victorian hoop and picket style fence for his yard. 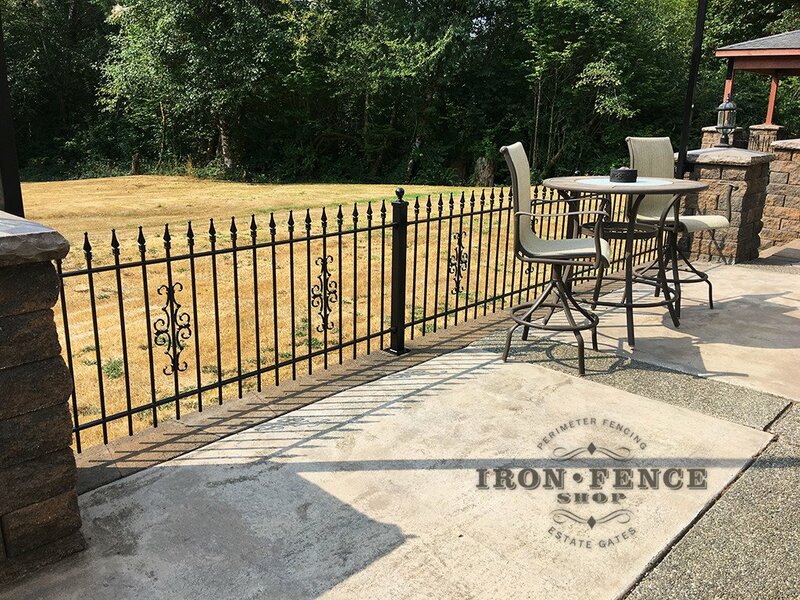 He liked it so much that he did a custom second order with us to expand the fence line. Check out what Gene had to say and the photos of his beautiful installation job. Our customer Brock sent us some beautiful pics of his finished fence meant to keep his Dog Zeus in the yard. 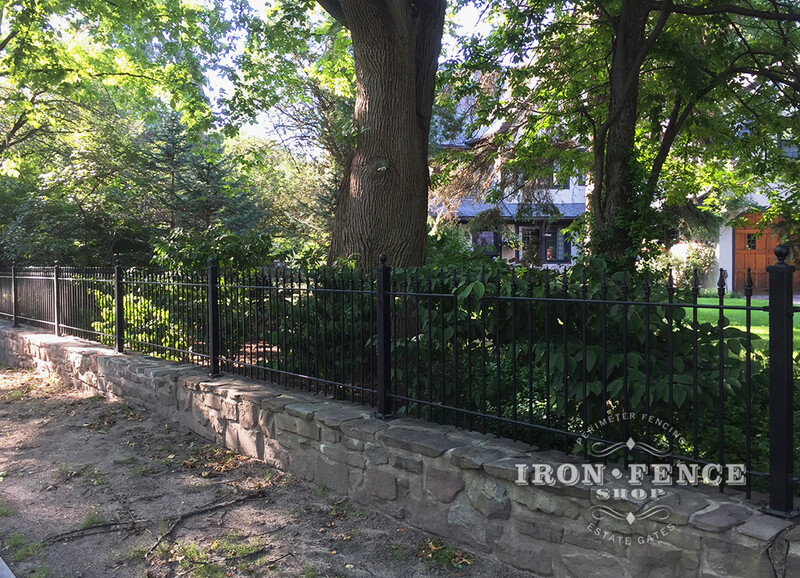 A Wrought Iron Fence Testimonial from New York! Our customer Greg sent a us a ton of awesome pics showing the finished project. 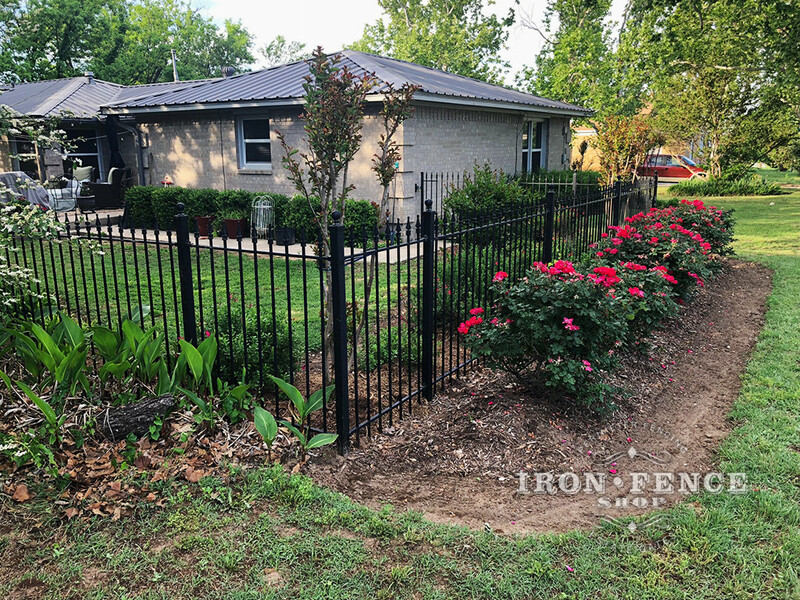 The project was a combination of wall top iron fence, yard fence and an arched driveway gate. 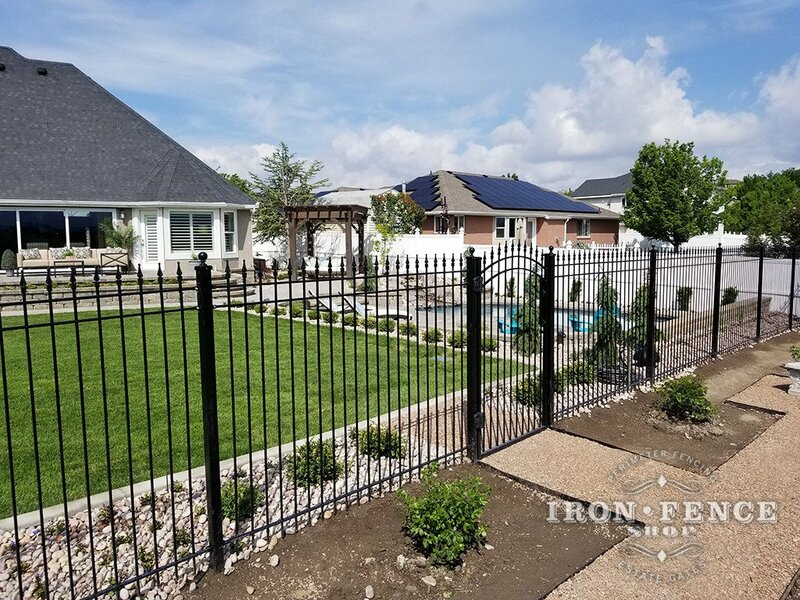 We usually get testimonials and pictures within 1 month to a year after the fence is ordered. However, in this case our customer Angie had a large tree come down and damage one of the fence panels. 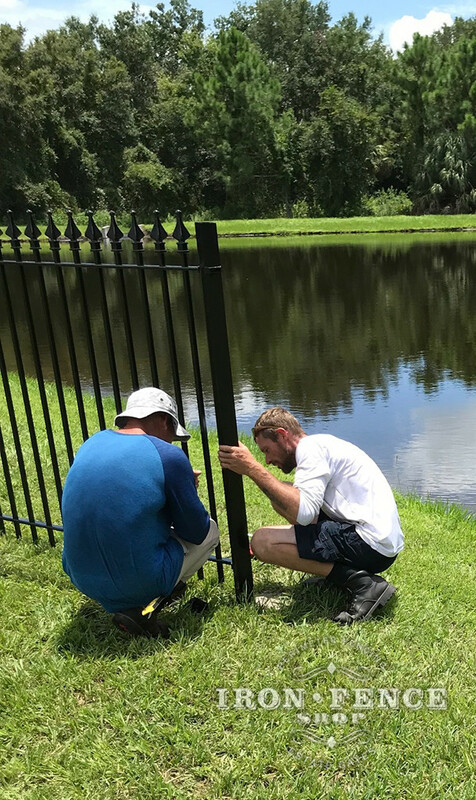 We helped out with some repair pieces at no cost and they very kindly sent us some very kind words and beautiful pics back of the fence 8 years after its first installation.